Ghosts are universal, some quiet, some noisy, most benevolent, some malevolent. However a ghost presents itself to the individual or the many, you are forced to take notice. Ghosts make contact for a variety of reasons, they will find one way or another to contact those on the earth plane if they choose. Whether you believe or not the supernatural is all around you, and for centuries people have been drawn to and fearful of anything they cannot logically pinpoint. That fleeting shadow out of the corner of your eye, the feeling that someone is standing behind you, or leaning over you, that bump in the night. Can you really just brush everything aside and put it down to your imagination? Anyone can see spirits at any time, at any age, in any place, anywhere in the world, ghosts disregard doors and windows, they enter at will. Often if someone you love leaves the earth plane suddenly and they are unprepared, their spirit will remain near where the death occurred, they may not be aware that they are in fact dead. In this instance they will attempt to make contact with loved ones through a spirit medium or someone who is especially sensitive and aware. At the time of death the usual occurrence is for the physical form to be left behind, the soul is set free and moves to a higher realm. For whatever reason a spirit at times remains earthbound, whether this is unfinished business, a powerful bond with another person or an overwhelming connection to a place or situation. Every haunting is different and by seeing a ghost we understand that death is but a doorway to a different realm. We leave our physical body behind and become an ethereal entity that vibrates at a different frequency. There are different types of apparitions, one is in its own world oblivious to anything else going on, it is the echo of a person no longer on the earth plane. The more powerful and quite often noticeable ghost, the one that usually makes its presence known, is the actual spirit of a person, usually this spirit is attached to a person or place, very tuned in to the earth plane and those living on this plane of existence. 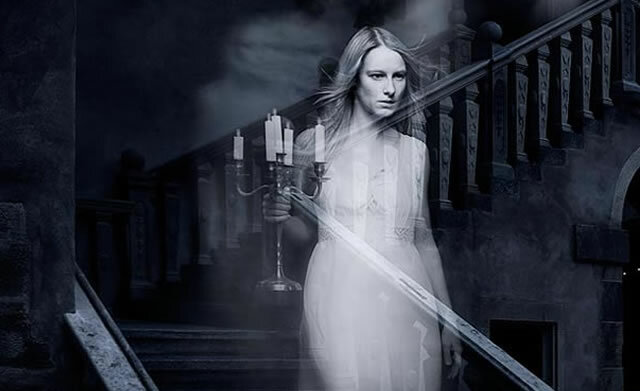 Many fear ghosts, some welcome them, while others dismiss them as nonsense, but still look over their shoulder when they feel a presence they can’t explain or turn their head when they catch sight of something out of the corner of their eye. Ghosts will always be there whether we like it or not, whether or not we believe. In human terms it would be difficult to define ghosts absolutely, as they appear in so many different ways and in so many forms. Ghosts are there all the time and it is the more intuitive or sensitive individuals who are aware of them, they are walking the earth and are all around us when we are awake and while we are sleeping. It is usually those who die tragically, suddenly or by the hand of another, who remain attached to the earth plane, there is possibly unfinished business or an intense tie to people or a place. Spirits remain earthbound for various reasons, some only for a short period of times, others for longer, some remaining for centuries leading to the tales of haunting we hear about. On occasion a spirit feels compelled to pass on a message, and through the assistance of a well schooled medium they manage to do this, they are then at peace, having moved into the light and eternal rest or to await their reincarnation. Fear of the unknown, and individual fear based belief systems may cause a spirit to remain earthbound, these spirits tend to remain between the earth and the next realm until their fears subside or are released completely. Others stay because they are worried about their families and the affect their death will have on them. Sometimes the living can interfere with the dead’s ability to pass over, especially if they are unable to let go and think about the person all the time. Maybe even going to the extreme of constantly trying to contact them hoping to hold onto them, once they accept that their loved one is gone the spirit is then released and readily crosses over. Spirit, comes from the Latin spiritus (breath), a supernatural being or essence, spirits are less definitive than ghosts, who are the apparitions seen by the living, ghosts are quite tuned in to the earth plane and aware of the living. Spirits attempt to communicate with the living usually for a specific reason and once their task is complete they cease contact. 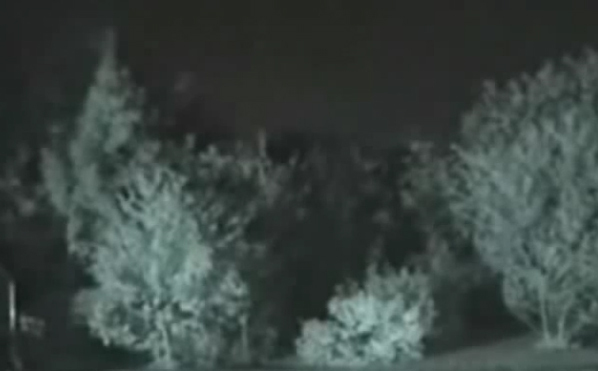 Anyone with ghostly experience or encounters will tell you that the first sensation is a feeling of coldness, a chill in the air like someone has turned on the air-conditioning just above their head, or an extreme drop in temperature regardless of the weather. This chilled feeling often occurs in a place of worship during religious ceremonies, in occult gatherings or cemeteries. If a home or any abode for that matter is haunted, there is usually one particular spot or area that is especially cold. Cold spots can also be doorways between the earth plane and the ethereal. When the living want to make contact with spirit they will hold a seance or use a Ouija board, this is a way of opening a portal through which a spirit may pass, it is important when working in this way to close the portal after the session has ended. If the doorway isn’t closed, and this can happen in the hands of beginners, a home can become full of ghostly activity. If this happens the best way to remedy it is to cleanse the entire house, this can be done by carrying a lighted candle and incense into every room in the house and placing incense in each room. When you enter the individual room, walk around with the candle holding it to every corner of the room moving clockwise, gently but firmly ask the spirit to leave and return to its own plane. You may also use a classic broomstick with a little lavender, geranium and rose essence dotted on it, then symbolically sweep the entire house ending at the front door where the spirit is released to return to the place from whence it came. A determined spirit will transmit a message to the living one way or another, there may be signs such as items moved around the home, or even taken out of drawers and placed in specific places where they will no doubt be noticed. You may have an overwhelming urge to do something or see someone, you may have been procrastinating about something and are suddenly compelled to attend to it. If the spirit is unable to contact you in your waking state it will most likely contact you through your dreams. Much loved animals often stay close to their owners when they die, and both seem comforted by this continued relationship. Cats and dogs can feel as though they are sitting next to, or on the lap of their owners, they may brush against their legs or be seen in a flash moving across the floor. Many elderly people who loved their beloved pet are often comforted by the continued spirit contact with them until the time of their own death. Samhain (Night of the Dead), Halloween, All Hallows Eve, the last night of October when the veil between the living and the dead is at its thinnest. The ancient Celts celebrated Samhain by lighting bonfires to help the souls of the dead to the Celtic underworld and to protect against evil spirits. Food and drink was left for the spirits, faeries, elves and nature spirits gathered at this time. The Chinese celebrate the Feast of the Hungry Ghosts, beginning on the Ghost Month, which is 15 August, the seventh month of the Chinese Lunar Calendar, and lasts for six days. The Buddhist ceremony of putu (the deliverance of the spirits of the dead), is also celebrated at this time. Feasts are prepared and left out for the spirits walking the earth, while Taoist priests and Buddhist priests chant, perform rituals and burn incense in honour of the ghosts. During this celebration the ancestral spirits of Chinese families are asked to join their families for a meal and ritual of burning items such as paper clothing, radios, shoes, cars and other items. This is done to ensure the families, present and future generations, are blessed and protected. The Feast of the Hungry Ghosts is dedicated to bringing peace to the abandoned and forgotten dead who are not associated with any particular family. It is believed bad luck to marry during the Ghost Month, to relocate, or to die, as the dead will not be able to rest. On the final day the Feast of the Hungry Ghosts, a bonfire is lit and paper effigies of ancient deities, paper currency known as hell money, and other gifts for the dead are thrown into the flames. It is believed that as soon as midnight strikes on the 30th day of the Ghost Month, wandering souls of the dead return to the underworld where the gates are then closed for another year. Spiritualism became popular throughout England and America in the 19th century, it came about as people felt the need to gather with others and share a new faith beyond anything scientific. There was a need to confirm life after death, mediums were coveted worldwide due to the new collective unconscious. Many fraudulent mediums surfaced at this time which stifled the new thinking until after the First World War, when many people consulted mediums in order to contact loved ones who had died. The 20th century has given rise to spiritualist churches, mediums, meditation groups and spiritual healers around the world, with England boasting the greatest number of spiritualist churches. Labeled in the late 1900?s were crisis apparitions, these are the ghosts of people who are still alive and due to a crisis in their life are able to appear to a loved who is hundreds or thousands of miles away. The living person may be in pain or danger, they may be in mortal peril, their anxiety such that they appear at times on the verge of death, other times in crisis, or distressed. The person who is projecting is unaware of what they are doing, unaware they are projecting their image possibly to the other side of the world. The person projecting can be perceived by their loved one either in the mind’s eye like a psychic vision, or as the actual person appearing in front of them. Like any matters to do with the occult, scientists have been unable to explain the phenomena of a person being in two places at once. On occasion a person will see their doppelganger (double walker), appear before them. It is believed that we are able to detach from the physical body for a short period of time and be visible to others, and then return to our physical body. The ancient Egyptians believed every soul had a double (ka). Other beliefs are that a living person can project their astral body or their soul which is a reflection of their physical form. 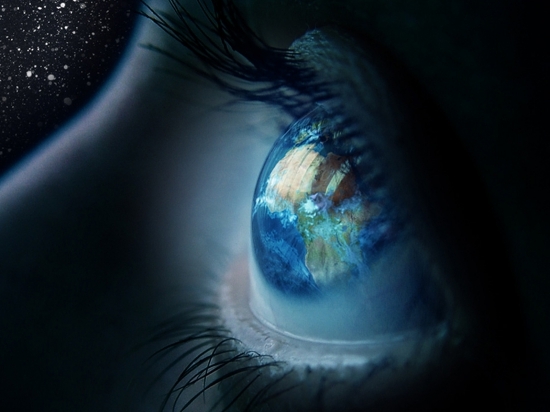 It is also thought to be a type of telepathic and clairvoyant projection, an expansion of a person’s consciousness. Crisis apparitions show that a living being is capable somehow of projecting themselves and presenting themselves as a complete entity far away from their physical form. If you are curious, daring or fearless, you may choose to go in search of ghostly encounters, finding such in all places where the dead rest, these being ancient burial grounds, graveyards, mausoleums, or historic buildings, churches, battlefields, old theatres, school buildings from previous centuries, old houses and hotels. 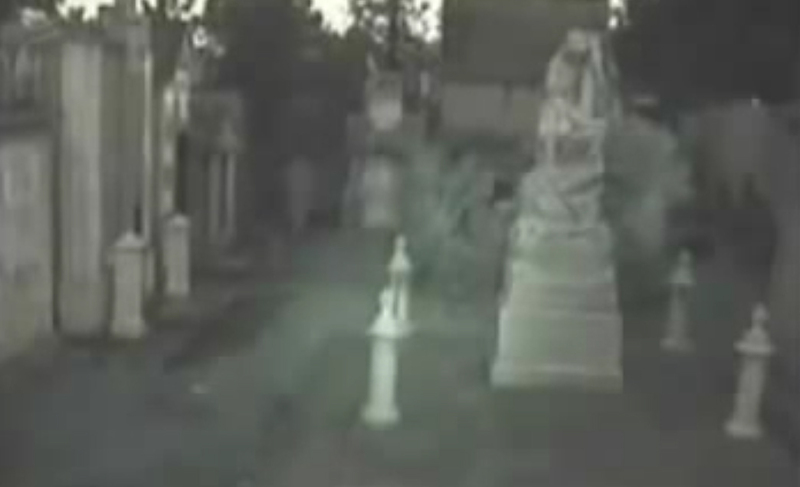 Nighttime is the best time to encounter ghosts and spirits, occasionally ghosts can be caught on camera, usually seen as a misty blur. If you do hear, see, or feel something, document everything that takes place, it may not make sense in the moment but when you go over your notes and images later you will have a clearer sense of what took place. Take candles, a lighter or matches and incense with you so you can have a quiet meditation before you begin ghost hunting. Many witches carry amulets with them for protection. Take your time and allow your intuition to guide you, often you will feel a chill, you may see an aura and there could possibly be a strange smell, this often precedes a ghostly presence. Those who are beginning their occult journey may wish to try a Ouija board, with one or several people, the best conduits are wooden. Each person touches the message indicator lightly with the tip of their finger and one person asks one question at a time, then waits for the indicator to spell out the answer. Contact with spirit depends on the awareness, sensitivity and receptiveness of the individuals involved. Before beginning, all those taking part should hold hands and silently ask for spirit guidance, then hold hands at the end of the session and quietly thank the spirits who came through. 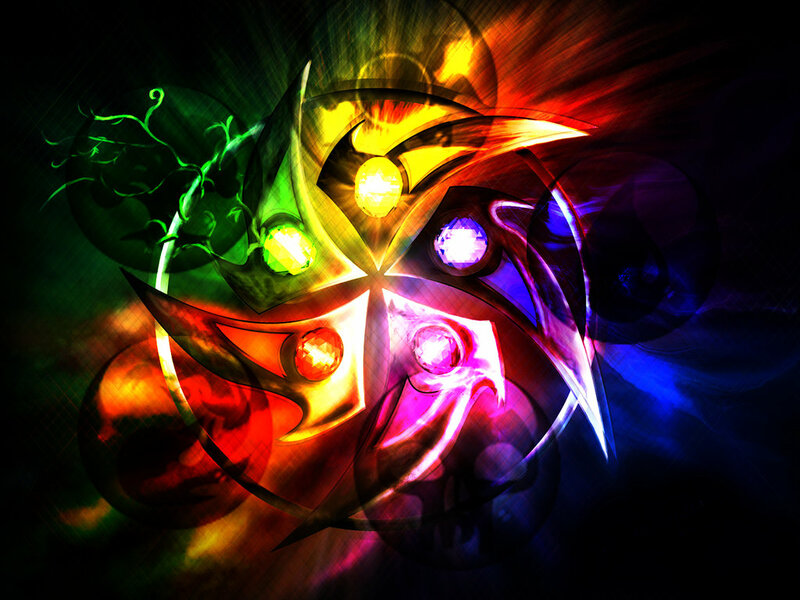 Throughout the session take notes of everything that occurs from words to feeling and any smells, or auras. If, when you are working with the Ouija board, you feel at all uncomfortable or unsafe, end the session immediately and close off communication. If you choose to conduct a seance (in French means sitting) where several people gather to communicate with the spirits of those deceased, seances have more power when conducted at night, although they can be carried out in a darkened room lit only by candles. The attendees sit around a round or oval table with no objects on it but a lighted candle, or several lighted candles. Before you begin turn off all power points in the home and work with only candlelight, burn incense and fragrant oils. Ideally work with no more than twelve and no less than three. It is necessary to have at least one medium to conduct the seance and it is not recommended for novices without the guidance of a seasoned medium. Children should not be present during a session. Some mediums work with a particular spirit guide, while others call upon spirit assistance and wait for one to make contact. To begin each person closes their eyes and holds hands with the person on either side of them, left palm down, right palm up. The circle is not to be broken while the session is in progress and all participants must remain holding hands until the session is ended. Once the medium verbally ends the session all participants are to place their hands face down on the table and give quiet thanks to spirit. The session will begin after everyone has joined hands and closed their eyes, the medium then calls on spirit for messages and guidance and waits for the portal between the two worlds to open, and words, feelings, auras, smells to occur, confirming there is spirit presence. A voice may be heard, there could be a message for one or more people, or a communal message, there may be sounds such as tapping or bumping, some may feel something touch them. It is necessary to be open to communication in any way shape or form. During a seance one or more participants may find words pop into their head or an image may appear in their mind’s eye. Others may witness an apparition clearly as though someone is physically standing in the room, as no two seances are the same the outcome cannot be anticipated. 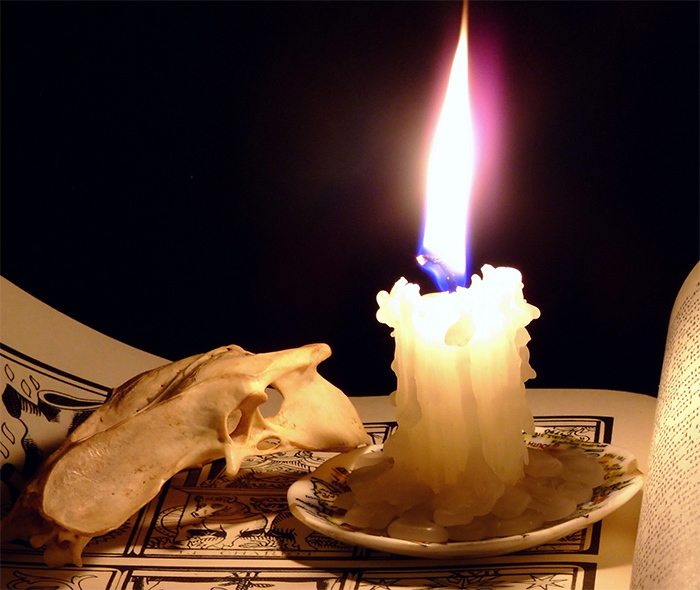 On occasion during a seance, someone who has not before beheld any phenomena may find that quite suddenly they become aware and that their nascent abilities have been kick started. This usually happens to someone who has a natural latent ability and just needed the right catalyst to awaken it. Generally a seance will go for one hour, any longer will be tiring for all concerned, especially the leader of the circle. Always treat spirit with dignity and thank those who have come through to assist. There are certain herbs associated with ghosts, these can be used before ghost hunting, seances and Ouija board participation or psychic work. These herbs can be fresh or dried depending on availability. If using dried herbs, place a container with the herbs in near a window in your home where moonlight streams through, this will charge the herbs before use. The herbs to use are bamboo, althea, anise, balsam tree, pipsissewa, sandalwood, dandelion, catnip, thistle, willow, wormwood and tobacco. When you embark on your search for spirits and ghosts, do so with love in your heart. You are entering a portal of multiple dimensions and entities, proceed with care, dignity, reverence, and respect for the ethereal encounters that await. When you ask for guidance and receive a response, make sure you thank those who travel through the portal to assist you on your life path.